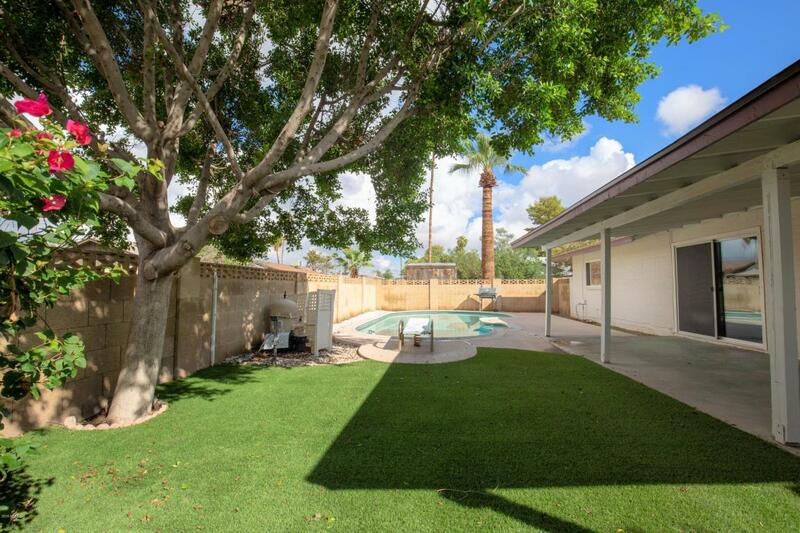 Located just off McClintock and Baseline Roads, this Tempe home for sale was built in 1969 (Back in the Summer of 69-insert Bryan Adams melody here). I grew u pin this area, in fact, both the Jr High and High School in the boundaries of this Fine Tempe Home for Sale, I attended (Connolly and McClintock). Now, I know what you're thinking, it was built 50 years ago, yes, yes it was, BUT, its solid block construction and has been renovated and upgraded over the years, so much that now, all you have to do is move in, place your furniture and get on with your life. Double doors lead your way into the home, new flooring, sunken living room, new kitchen appliances as well as granite counter tops.Plus a nice kitchen island/breakfast bar! 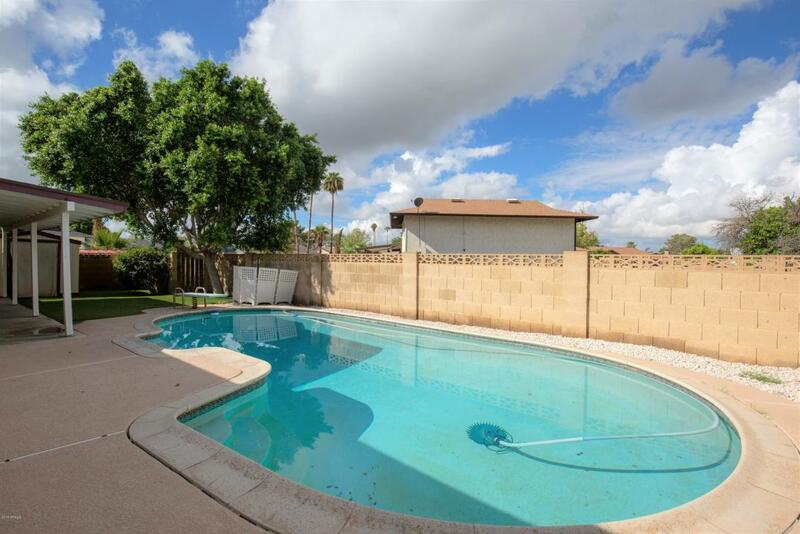 The large family room in this Tempe home, overlooks the back yard and the sparkling swimming pool that is just begging for you to jump into. When I lived in Tempe growing up, we had a diving pool, don't see very many of those nowadays unless they are attached to homes built in the 60's, 70's and 80's. This home has a nice covered patio as well, so you can enjoy your back yard year round. Lets talk about location shall we? Located within 2 miles, Fry's Food Store, Walmart, Sprouts Farmers Market and Walgreen's. 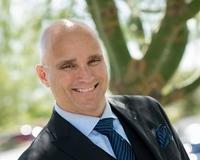 We also have Tempe History Museum and public library close. For those interested in whole foods, yep, less than 2 miles away. Not to mention some random restaurants for dining, ACE Hardware plus the big box hardware spots. 3 Bedrooms, 2 bathrooms and just under 1900 square feet provide ample room to roam! Ready to take the next step? Reach out today and lets arrange your exclusive showing! Call, text or email, all work and all are good. 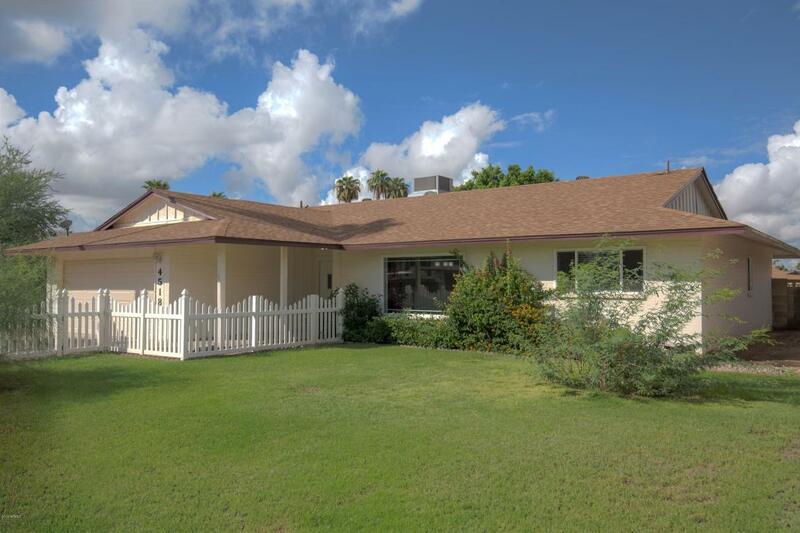 Don't miss out on this chance to own a home in Tempe, with mature landscaping, tree's, established communities with neighbors that set their roots and stay a while. Tempe is one of the most pursued communities in the valley, now is your chance, as this one is priced at $325,000 and I don't foresee it lasting too long.